MARQUETTE — The Community Foundation of Marquette County Tuesday at the Presque Isle Pavilion awarded grant checks to successful applicants during the latest grant cycle. Community funds generated through a multitude of donor gifts invested over the last 30 years resulted in funds for Marquette, Negaunee, Ishpeming, Gwinn and Big Bay. A total of 115 applications produced 79 grants, with projects ranging from funding for the Prime Time Family Reading Program at the Peter White Public Library to an indoor rock-climbing wall for Negaunee Public Schools. One of the largest grants at $2,000 was awarded to the Friends of the Ore Dock BotEco Center. 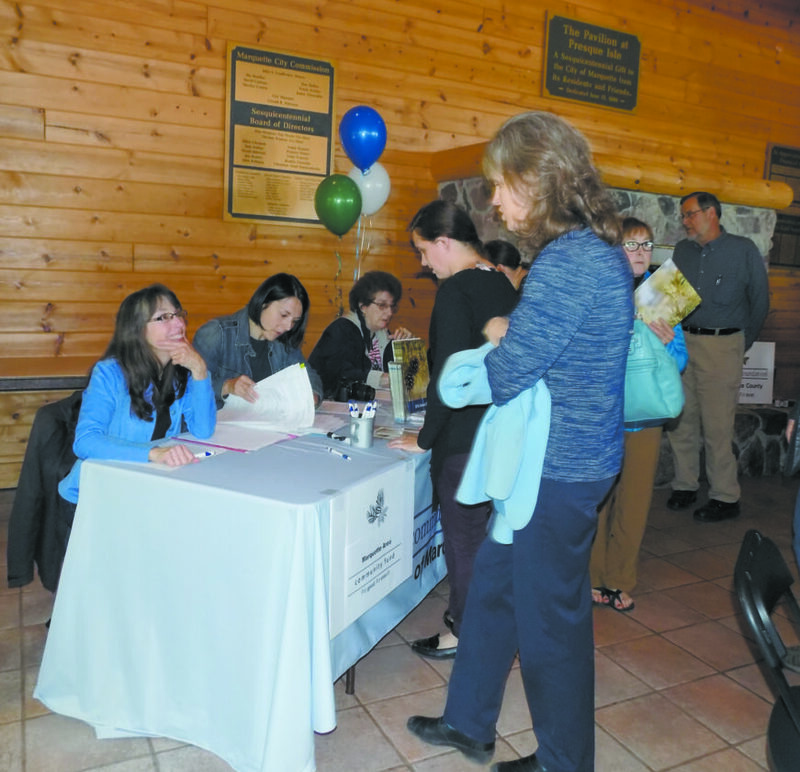 Friends President Gisele Duehring represented the organization at the gathering, which she noted took place on the fifth anniversary of the group becoming a nonprofit. The Ore Dock BotEco Center, which is proposed to be built at the long-decomissioned ore dock at the lower harbor in the city of Marquette, is based on four pillars, Duehring said: historical education and restoration, ecological education, community spaces and — her favorite — year-round botanical gardens. Duehring said an art projection from the BotEco Center that can be seen from the shore, such as a projection of the northern lights on the north side of it with some audio, is a possibility. 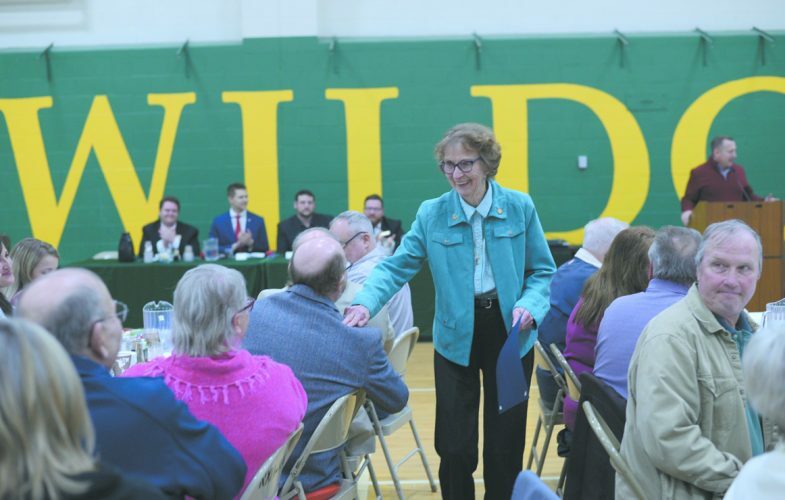 Deb Cook, a member of the Marquette Tennis Association, said that organization received $1,000, which will go toward improvements to the Mickey Johnson Tennis Courts at Williams Park on Ohio Street. The Williams Park universal access and athletic court renovation project recently was approved to receive $112,000 from the Michigan Natural Resources Trust Fund, and the MTA was tasked with raising money to be put toward that project, she said. MTA Treasurer Joe Havican said the entire project, which will cost $160,000, will improve the basketball and tennis courts and make a path through the playground that’s consistent with the Americans with Disabilities Act. “It’s a nice park, and it’s in dire need of some help,” Cook said. Other recipients included Gwinn/K.I. Sawyer enrichment programs, Welcome Baskets for the city of Ishpeming, Youth Center equipment for the YMCA of Marquette County and the Marquette Symphony Orchestra’s Children’s Concert.